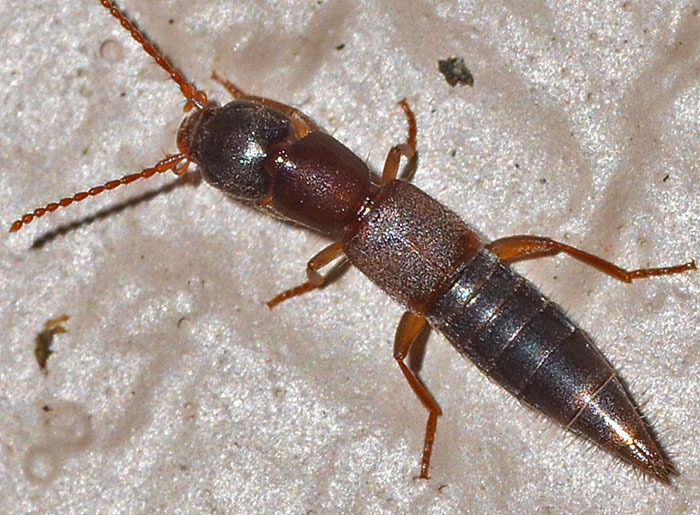 This rove beetle is possibly Achenomorphus corticinus which represents the only species of this genus in North America. It lives in litter, compost, and occasionally mushrooms or ant nests. This specimen was attracted to our porch light.